We offer premium value accommodation to all our guests - all of our rooms are fully equipped, impeccably maintained and designed for our guests' comfort. 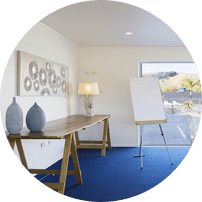 We are conveniently located only minutes from the famous Wainui & Sponge Bay Surf Beaches and approximately a five minute drive into the city of Gisborne. Whether you prefer relaxing in the sun or exploring by bike, Gisborne offers so much to see and do in a stunning coastal environment. 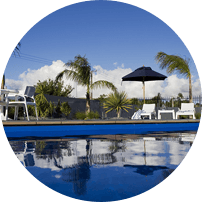 We aim to provide a family oasis with everything you need for a comfortable and enjoyable stay, including Wi-Fi, solar heated pool and lots of activities for kids. 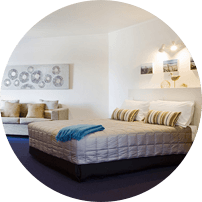 Motel Oasis has been recently refurbished to a high standard. Enjoy your stay at the newest and friendliest Motel in Gisborne. 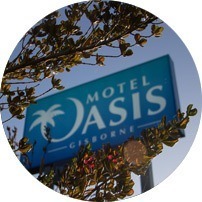 With rooms starting at $125 (double) we are sure that Motel Oasis will become your favourite place to stay in Gisborne and the Eastland Region. With plenty of entertainment the Motel is a fantastic place for families as parents can relax while the kids have plenty to discover. Business travellers will find that the Motel meets all their needs for a comfortable night sleep as well as great conference facilities for small groups un-distracted from the hustle and bustle of town.